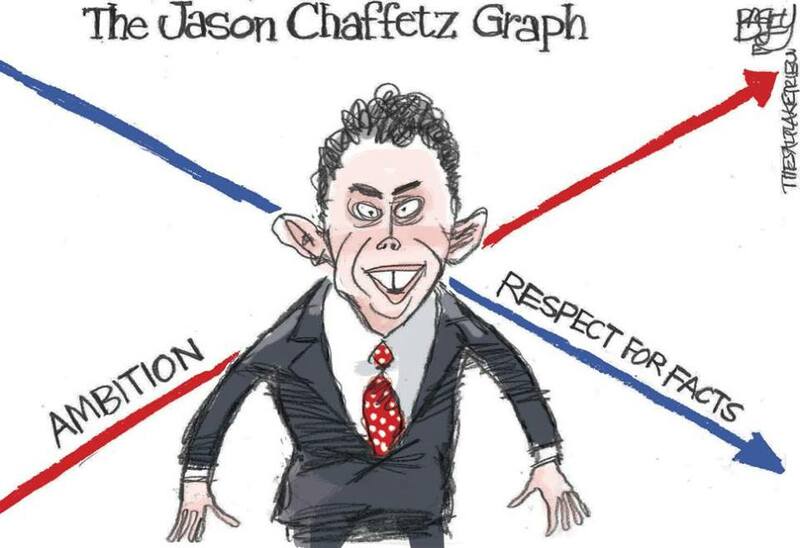 Salt Lake Tribune Cartoonist Patrick F. Bagley’s unvarnished truth about Utah’s Ace Grandstander. Jason Chaffetz uses bogus “facts”, otherwise known as Republican Talking Points. My graph, on the other hand, is 100% accurate. What would a civic profile of the typical Utah voters who sent this guy to Congress look like? This entry was posted in Civic Duty, hypocrisy, Republicans and tagged civic duty, Jason Chaffetz, republicans, statesmanship by Arthur Ruger. Bookmark the permalink.